EDF has confirmed it is ready to invest in two new nuclear reactors at Hinkley Point in Somerset. EDF made its final investment decision (FID) at a meeting of directors on 28 July. Following the vote, the UK government announced that it is reviewing its support for the project and will make a decision in early autumn. Mike Tynan, chief executive officer of the Nuclear AMRC, said: “The Nuclear AMRC welcomes the decision by EDF to move forward with its project at Hinkley Point C. This is a landmark decision for the UK civil nuclear industry and one that shows confidence in the UK’s ability to deliver a major infrastructure project for the civil nuclear industry. “EDF has led the way in the drive for new nuclear power in the UK: it was the first through GDA, site licence, planning consents, and electricity price deals, and is now the first to FID. The Nuclear AMRC has supported EDF’s supplier development programmes in its journey for UK EPR deployment, and we will continue to provide every assistance to the Hinkley Point C project as it moves through construction, installation, testing, commissioning and commercial operation. Nuclear Industry Association chief executive Tom Greatrex urged the government to make a quick decision on Hinkley Point. “The most important thing is that the board of EDF and its investors have the finance in place to enable them to give the go ahead for the project and that is very good news. We have a strong UK supply chain which has built up its capability and has trained people so they are able to build and operate Hinkley Point C,” Greatrex said. Dame Sue Ion, chair of the UK’s Nuclear Innovation Research Advisory Board, said that the Hinkley Point C decision will increase investor confidence in the UK’s other proposed new build projects at Wylfa on Anglesey and Moorside in Cumbria. “It will stimulate the whole of the nuclear industry supply chain, reinvigorating advanced manufacturing in the UK and taking advantage of the investment made in entities like the Nuclear Advanced Manufacturing Research Centre in Rotherham,” she said. Bouygues TP/Laing O’Rourke (civil works). Areva (instrumentation & control, nuclear steam supply system, fuel). Balfour Beatty Bailey (electrical work). Cavendish Boccard Nuclear (mechanical pipework and installation). Rolls-Royce/Nuvia (reactor coolant processing systems). Weir (large pumps for cooling water). Clyde Union (main pumps for feedwater system and cooling water system). Ovivo (intake water filtration systems). Laing O’Rourke (workers’ campus accommodation). Premier Interlink WACO UK Ltd (temporary buildings). 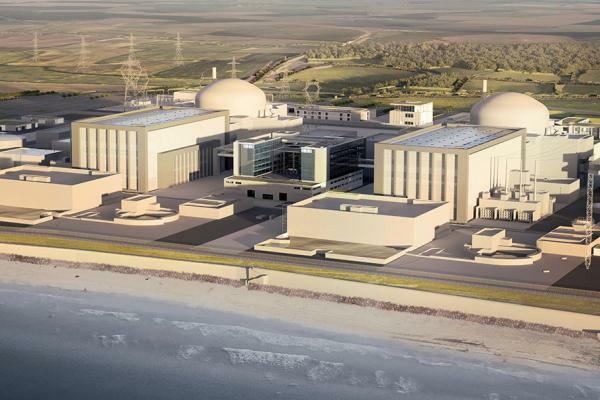 EDF will work with China General Nuclear Corporation (CGN) to deliver Hinkley Point C, with CGN taking a 33.5 per cent investment share. The two groups also propose to collaborate on deploying EPRs at Sizewell C, Suffolk, and the Chinese Hualong HPR-1000 reactor at Bradwell, Essex. The Nuclear AMRC is working with Sellafield Ltd to slash the cost of making future designs of waste container boxes, potentially saving hundreds of millions of pounds in decommissioning costs. The clean-up programme at Sellafield and the other sites managed by the Nuclear Decommissioning Authority (NDA) will need tens of thousands of special steel boxes over the next 30 years to safely store and dispose of hazardous waste. The current design is a standardised 3m3 stainless steel box which can be stacked for long-term storage. Making these boxes using current manufacturing techniques is an expensive business, with each one costing tens of thousands of pounds to produce. Sellafield Ltd is driving a project to significantly reduce that cost, and tasked engineers at the Nuclear AMRC to help come up with solutions which could save the taxpayer hundreds of millions of pounds over the lifetime of the programme. In the first phase of research, Nuclear AMRC research engineers worked alongside a specialist welding engineer from Sellafield Ltd, Jade Leonard, to investigate new approaches including fully automated welding and inspection. The complex design of the boxes means that many joints are not easily accessible to current mechanical welding tools, so the team investigated small flexible welding heads that can fit into tight spaces and weld in several directions using a range of welding technologies. The team are focusing on the highly corrosion-resistant duplex 2205 stainless steel, which can present significant challenges during manufacturing. The team have completed initial trials with a range of arc and laser welding technologies, using equipment at the Nuclear AMRC and at specialist welding partners, and identified the most promising for further development. In the ongoing second phase, the welding team are using the chosen technologies to produce more complex representative testpieces. “This stress relief is extremely difficult to prevent or to even predict accurately, meaning that the precise geometry of the box components is very difficult to control as they progress through the manufacturing process,” says Dave Stoddart, Nuclear AMRC technology lead for integrated manufacturing. 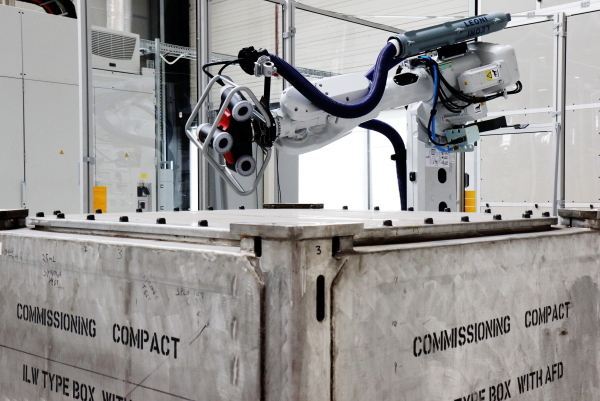 The Nuclear AMRC has installed a new robotic cell to develop automated inspection techniques which can ensure that boxes produced with new techniques meet specification. The six-axis robot arm carries a photogrammetry head, which rapidly builds up a detailed three-dimensional image of the box’s geometry. The automated cell then analyses this model and identifies any distortions or defects within minutes, rather than the days needed for inspection on a traditional coordinate measuring machine (CMM). 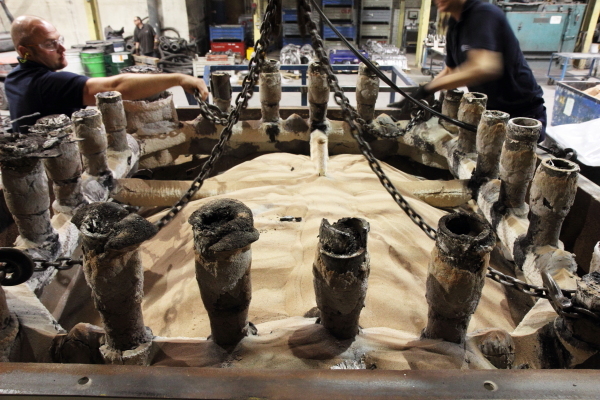 AMRC Castings investigated whether the complex shape could instead be cast as a single item. Using the centre’s Replicast ceramic mould technology, the team successfully cast two highly accurate, one-piece prototype frames. The frames have passed material and metallurgical testing, and exhibited a superior surface finish. “Using a near-net shape casting optimises metal use, saves a massive amount of work, and significantly reduces the task of inspecting the finished product to make sure it meets stringent nuclear standards,” says Richard Gould, commercial manager at AMRC Castings. The research is part-funded by the Civil Nuclear Sharing in Growth (CNSIG) programme, which aims to develop the UK manufacturing supply chain for civil nuclear with support from the Regional Growth Fund. The results will be shared with UK manufacturers which can produce the boxes to the required specifications. For more about the Nuclear AMRC’s work in decommissioning, see our Q3 newsletter. 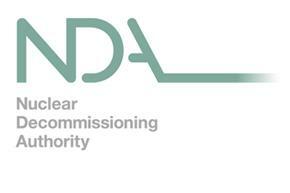 The Nuclear Decommissioning Authority and its site licence companies present their sixth supply chain event. The 2016 NDA estate supply chain event, Delivering success together, aims to highlight opportunities along the supply chain, particularly for small and medium-sized businesses, and will include presentations from the NDA, site licence companies and key government speakers. The day also includes technology demonstrators, opportunities to meet buyers from across the NDA estate and MOD, and awards presentations. Five manufacturing experts have joined the Fit For Nuclear team to help even more UK companies get ready to win work in the civil nuclear sector. Fit For Nuclear (F4N) is a unique service to help UK manufacturing companies get ready to bid for work in the civil nuclear supply chain, developed and delivered exclusively by the Nuclear AMRC. 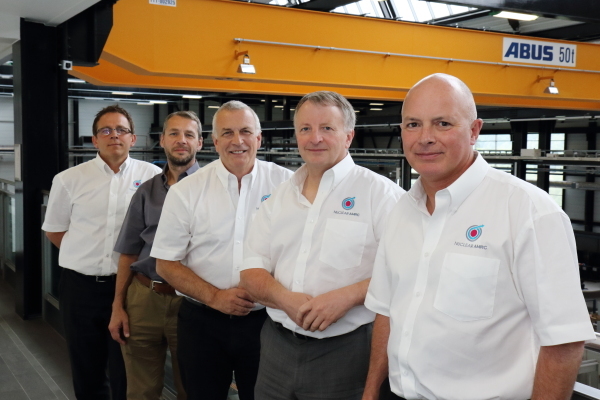 Paul Cook, John Olver, John Coleman, Stephen Linley and Huw Jenkins have joined the Nuclear AMRC as dedicated F4N advisors. All have previously been involved with the F4N programme – Cook since the programme’s inception in 2011, and the others through the Manufacturing Advisory Service (MAS), which has now been wound down. After intense training with the Nuclear AMRC’s lead supply chain consultant Martin Ride, the five are now hitting the road to identify and support manufacturers who could join the nuclear supply chain. Hundreds of companies have already taken the F4N assessment over the past five years, with almost 100 completing their journey after driving business improvements through a tailored action plan. Participating companies range from contract manufacturers with no nuclear experience aiming to take a first step into the sector, to established suppliers wanting to benchmark their position and drive business excellence. Many F4N companies have reported benefits across their business, not just in their nuclear operations. The new advisors agree that the lessons of F4N will prove particularly valuable to companies dealing with increased economic uncertainty following the vote to leave the EU. Start your Fit For Nuclear journey. Sheffield Forgemasters and NuScale Power have announced a new partnership to develop manufacturing techniques for the future deployment of small modular reactors (SMRs) in the UK. Forgemasters, a founding member of the Nuclear AMRC, will forge a large civil nuclear reactor vessel head based on NuScale’s design by the end of 2017. The work builds on an ongoing research project supported by Innovate UK, the UK’s innovation agency, to develop and validate innovative forging and fabrication solutions for the nuclear industry. The £4 million project, funded under Innovate UK’s Energy Catalyst programme, has been running since June 2015. It is led by Sheffield Forgemasters, with partners including Rolls-Royce, The Welding Institute, the University of Sheffield, Sheffield Hallam University and the Nuclear AMRC. 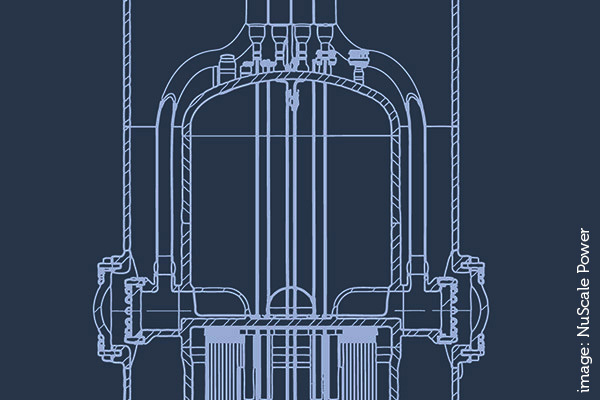 NuScale Power says it is now providing additional funding to support the use of its reactor vessel head geometry for the demonstration forging. Speaking at a Northern Powerhouse conference in Manchester, NuScale managing director Tom Mundy said: “Our vision of seeing the NuScale SMR deployed in, and exported from, the UK can and will only be achieved in partnership with Britain’s renowned engineering and industrial base. Forgemasters has a long history in manufacturing large steel components for heavy engineering and nuclear power applications. It is the UK’s only large forgemaster, and a world leader in large-scale forged and cast components. “Small modular reactors could revolutionise the civil nuclear power industry by creating more flexible power generation solutions,” said Forgemasters chief executive Graham Honeyman. “The efficient factory manufacture of major components will be crucial to seeing them deployed cost-effectively, and Sheffield Forgemasters has an unparalleled track record in the production of civil nuclear forgings of this size. NuScale is holding a supplier day at the Nuclear AMRC on 13 July to give UK-based engineering, manufacturing and construction companies the opportunity to learn about the company’s programme of work. NuScale is also participating in the UK government’s competition to identify the best-value SMR for UK development. NuScale’s Power Module is a 50MWe pressurised water reactor and generator, designed to be deployed in clusters of up to 12 per site. The combined containment vessel and reactor system measures around 25 metres in length by five metres diameter, small enough to be transported by a single lorry, and features state-of-the-art passive safety systems.